cyclofiend: SF Randonneurs Populaire - This Saturday! With a fair degree of trepidation - potentially challenging weather is not a problem, but I'm definitely still a bit under-miled... Ahh well, how can you not get excited about a ride when it has such great artwork? 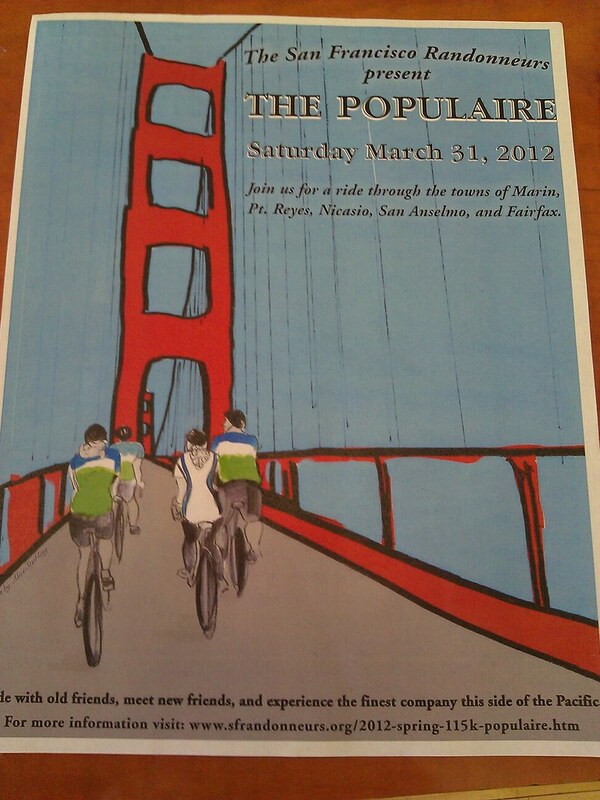 Anyway, the San Francisco Populaire rolls north from the Golden Gate Bridge at 7 am this Saturday - check in and/or sign up is required, so don't show up at 6:59 - the hearty band of randonneurs will be rolling north to Pt. Reyes Station for the first controlle, then heading back down to Crissy Field for a triumphant finish. The SF Randonneurs website has more info.